Do you want creative solutions for your silent and live auction? Do you want unlimited pre-event consulting from your Auctioneer which will generate more ideas to bring in more money at your event? Do you want your guests to laugh and smile during your auction? Do you want your Auctioneer to engage the whole audience? Do you want to net more money than you ever imagined? 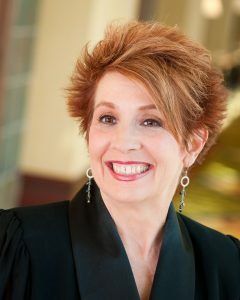 If you answered “yes”, then you want Benefit Auctioneer Specialist Gayle Stallings with FUNauctions. 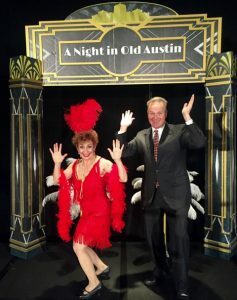 What makes Gayle Stallings unique as a benefit auctioneer in Austin and throughout Texas? 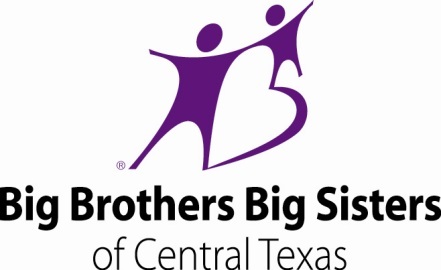 FUNauctions is Central Texas’ preeminent providers of high-energy fundraising auctions and special appeal/Fund-a-Need experts for nonprofit organizations. Gayle is 1 of 15 auctioneers in Texas to have achieved the National Auctioneers Association’s Benefit Auction Specialist (BAS) designation (only a select few have achieved this in the country). Her FUNauctions business is based 100% on referrals. Gayle is an Expert Auction Consultant with more than 10,000 hours of event consulting, committee meetings, training as a facilitator, professional speaker, auctioneer, classes and more. 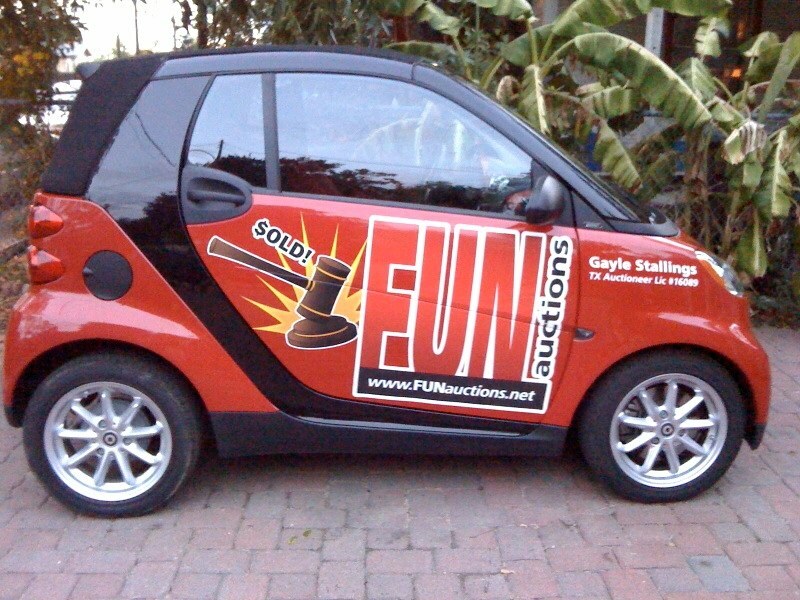 FUNauctions specializes in benefit auctions and does not accept work for any other types of auctions. Capitalizing on her 12 years of experience as an Executive Director of a statewide nonprofit organization, special event consultant, facilitator and public speaking coach led Gayle Stallings to create FUNauctions, a professional benefit auction and event consultant company based in Austin, Texas. She has served in various leadership roles with Toastmasters International and received numerous awards. She has been a professional speaker and trainer for clients and audiences in more than 16 states, Canada and Europe. Gayle is a licensed auctioneer specializing in benefit auctions. She has completed courses to receive the National Auctioneers Association Education Institute’s “Benefit Auctioneer Specialist” (BAS) designation. Less than 1% of Auctioneers throughout North America hold the BAS designation. Professional designations are an indication that an auctioneer is staying current with his or her education. Having a professional designation means that the auctioneer must pursue several hours, in some cases, even years, of continuing education each year, ensuring that they are up to date on the latest standards and practices in the industry. Auctioneers earn designations by taking nationally recognized courses with the National Auctioneer Association. The training is rigorous, and while having a designation is not required by law, it’s one indicator that an auctioneer has gone above and beyond to stay at the top of his or her craft. Gayle received the Benefit Auction Specialist (BAS) designation in 2007 when she was in the inaugural class in Seattle, Washington. To learn more about Gayle’s education and professional accomplishments – Download her resume. 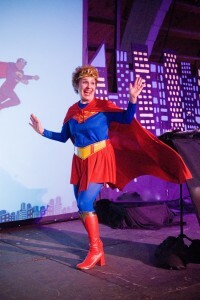 Gayle is out-of-the box creative and brings so much energy to an event. She has the ability to connect powerfully with an audience in fun and unexpected ways. Want to create a theme for your event? Gayle and the FUNauctions team will fully participate. She has experience with “themed” auctions”. Gayle sees opportunities where others may see challenges. Her unique perspective of having served as an Executive Director of a nonprofit organization means she raises money for other nonprofit organizations like it was her own. Gayle is so passionate and committed to understanding the industry and best practices. She became a member of the Texas Auctioneers Association (TAA) and the National Auctioneers Association (NAA) before becoming a licensed auctioneer in November 2005. Having served on the governing boards of nonprofits, Gayle understands how nonprofit organization’s board of directors, staff and volunteers think when it comes to undertaking a benefit auction. She knows how crucial the success of the event is to the organization’s bottom line. Gayle knows from her years of experience as an event consultant you can never plan too much or too far ahead. Learn more about the FUNauctions professional services – check out the Services page for more details. Gayle would love to discuss your upcoming event with you. Contact Gayle today!